Over the last few years, we've received an enormous amount of positive feedback from Energy Egg owners – we now have far more testimonials than we can ever publish! 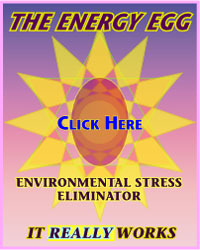 – but also a mixed bag of comments about the Energy Egg from non-Energy Egg owners. Such comments are often from dowsers, kinesiologists, medical intuitives, psychics and other practitioners who sense subtle energy in one way or another. And yet they seem as contradictory as the scientific research on, for example, coffee. Scientific studies on coffee show coffee consumption is good... or bad (take your pick which study you read) for your health – just one of the countless examples of the limitations of 'knowledge'. The energy testers and psychics are at odds with one another as are the scientists. So, who do you believe? Perhaps, the last opinion you happened to hear! This is why we teach and demonstrate the importance of developing your own whole body energy awareness, rather than wholly depending on science or others' views for making your key decisions. So, how do you best key into your own awareness? You might, perhaps, use your own bio-energetic test or intuition to test coffee for yourself. 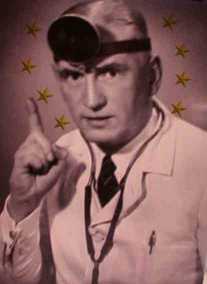 All well and good, but, there's a snag that many aren't aware of with bio-energetic tests such as dowsing, kinesiology or intuition. Which is... that they depend on your own available awareness energy. If you happen to have the necessary awareness energy in the right part of your body and you do a bioenergetic test, your test will be accurate. But if you lack the particular energy that enables you to perceive the effects of coffee (on you or others), your test will be innaccurate – even though it still gives a response. So you still won't be able to reliably tell which of these scientific or psychic statements is true for you. Apologies to anyone who experiences some unease about the name of the third form of human awareness, but the combination of millions of peoples' and thousands of years'-worth of experiences makes this a compelling term. These forms of energy awareness automatically appear and develop within you, if certain parts of your energy body receive significant amounts of an energy from the environment that we – and the yoga traditions – call prana. When anyone practises dowsing, kinesiology or psychic awareness of any kind they are using a certain form of prana in a certain part of their energy body. 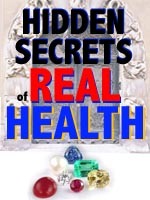 This gives them an awareness that will be relatively accurate for one subject – say, for example, a certain healing technique – depending on the nature of the prana and where it's present in their body – but not very accurate for many other subjects. This is why we emphasise the need for 'whole-body' energy awareness development – the result of cultivating prana in every area of your energy body. 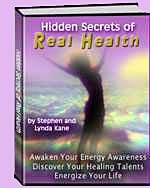 And, because the totality of your energy body maps onto the totality of your environment, this then develops your potential "whole world" awareness rather than just narrow sub-sections – such as good foods or medicines for example. Whole body energy awareness is by no means the easiest form of energy awareness to develop because its cultivation involves every area of your life rather than separating your awareness development from your "real" life. However, it is, by its very nature, the most balanced and complete. It avoids the problems, stresses and intolerances that so often become stronger if one's energy development practice is lop-sided and therefore psychologically, energetically or physically destabilising in one way or another. A common consequence of developing unbalanced awareness energy is that of energy vulnerability – being hypersensitive to electromagnetic fields, geopathic stress, sha chi or other peoples' energies. An extreme example of this is that of Ramakrishna (an Indian holy man) who experienced intolerable pain when some people were close to him. However, developing your whole body energy awareness has the opposite effect – while becoming more energy-aware you also become increasingly energetically robust. And so less vulnerable to environmental energies. Cultivating any form of energy awareness reveals phenomena that otherwise remain unremarked or unintelligible. But cultivating your whole body energy awareness gradually unveils a whole world of energy that is constantly influencing how you think, feel and act and how you experience every part of your life. Changing your energy changes your life. Cultivating the awareness energy of your whole body changes everything that needs to change for the better - when you are ready to accept the changes that become possible through your personal, environmental and spiritual development.